2 by 3 Heroes: A daunting task. See that? That's a 5000 count box. Though, can you really jam 5000 cards in one? I have never tried. 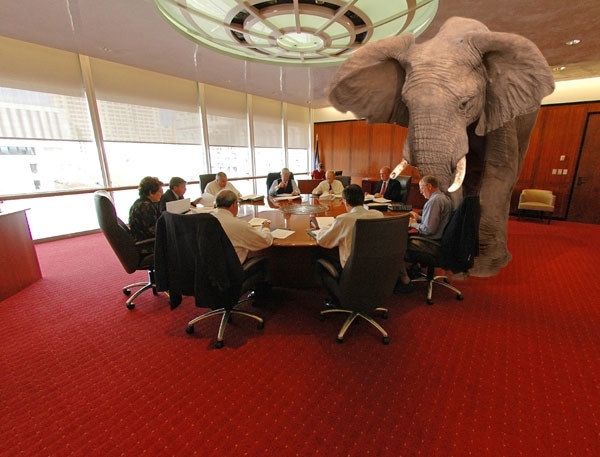 But I am getting off task. There you see a 5000 count box. The key rows are from the center right. The two rows on the left are early 90s Upper Deck. Those are fine. It's the middle row, the full one on the right of it, and then those 100 or so cards in the far right row. If you have been around here a while, or traded with me, you have known my response for "well, what do you collect" has been either something off my want list, or any White Sox and/or Blackhawks cards. 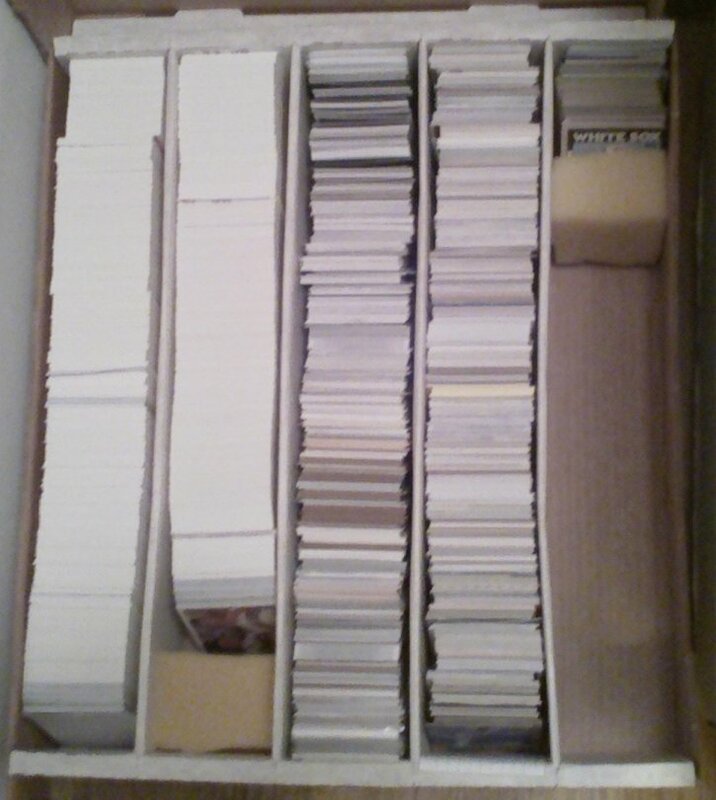 Those above (plus a 800 card box not pictured) are the cards I have found during sorting, as well as the response from you guys to my requests. And that is just the baseball. I have a row plus of a 3200 count box of Hawks cards I have pulled as well as the cards sent in trades. Needless to say, I need to stop avoiding this and get these cards tackled. I'm right over here, dude. To the left. No - MY left! 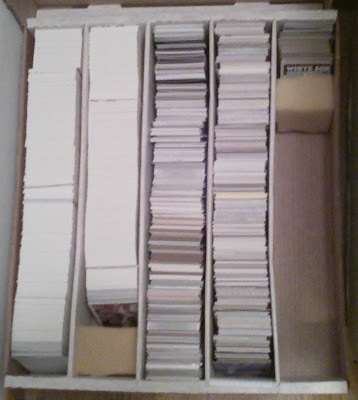 So, I am open to suggestions on the best way to get those cards in something that resembles order. Sorting the same set but different card numbers is simple task. Here we have years, brands, sets within that brand, inserts to who knows which sets to which brand - my head is swimming right now just thinking about it. Though, that could be the Blizzard I just ate messing up my cortex. If that box was your first world problem, how would you address it to get it organized? Inserts are included in the "year" subcategory. I also have a Word template I use to make dividers, then I insert those dividers into upside-down penny sleeves and place them between the years, etc. I'd be happy to send my basic divider template to you if you want it. I am in the process of overhauling my Griffey binders so I picked up one of those 5000ct boxes. At last estimate I had just under 3000 Griffeys. They filled it completely, and I still had a sizeable stack left over. Hence, I don't think 5000 is accurate.... Then again, my estimate could have been way off. Gotta love U2. Great song! I do a shitastic cover of Where the Streets Have No Name.